La Española 2000 is Gráfica 2001's digitally re-drawn version of the classic La Española Spanish-suited pack and is produced in two sizes (standard and small). 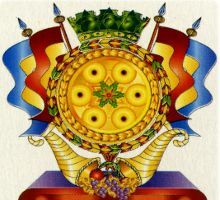 The original logo can be seen on the Fours of Cups and Coins and the two Jokers. 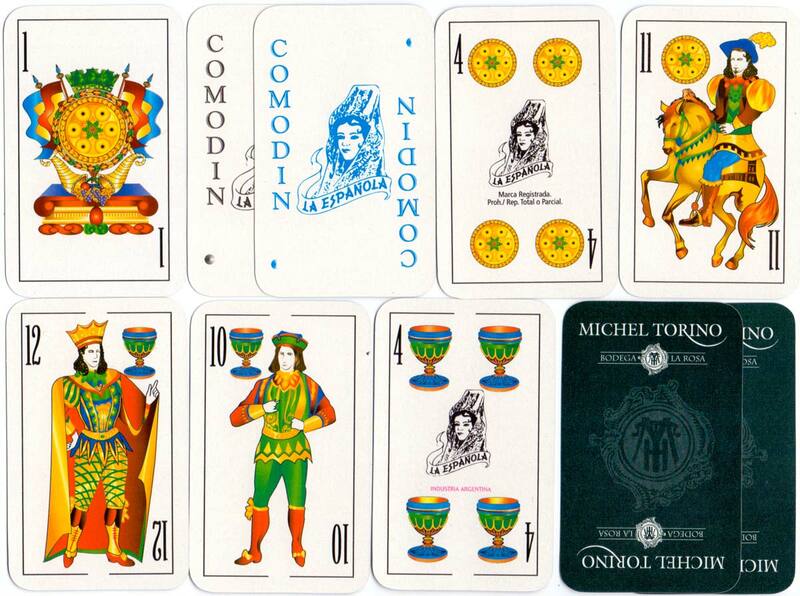 Above: La Española 2000 playing cards, Gráfica 2001's digitally re-drawn version of the original classic ‘La Española’ Spanish-suited pack. 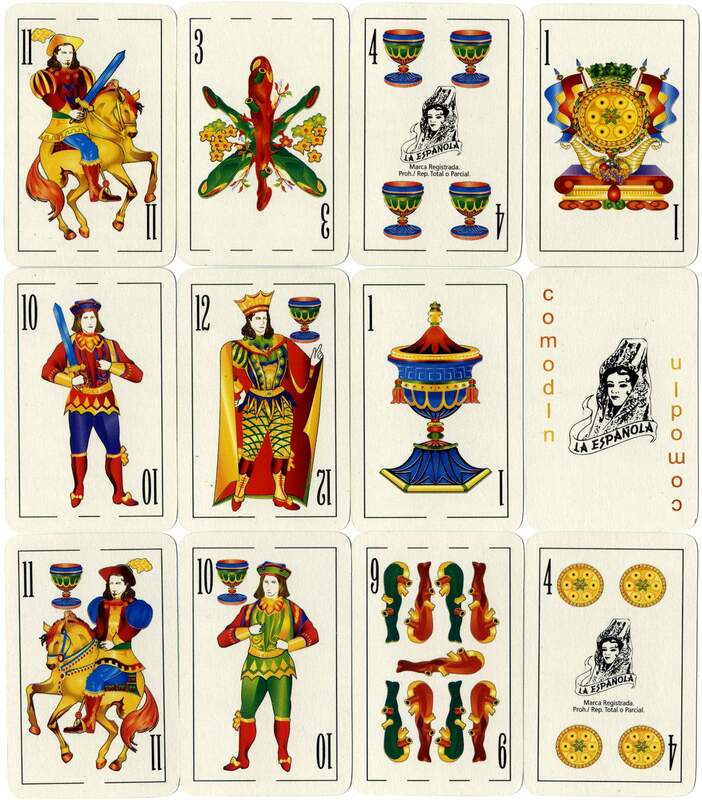 The original logo can be seen on the Fours of Cups and Coins and the two Jokers. In some instances there are differences in the typography on the Jokers or Four of Cups. 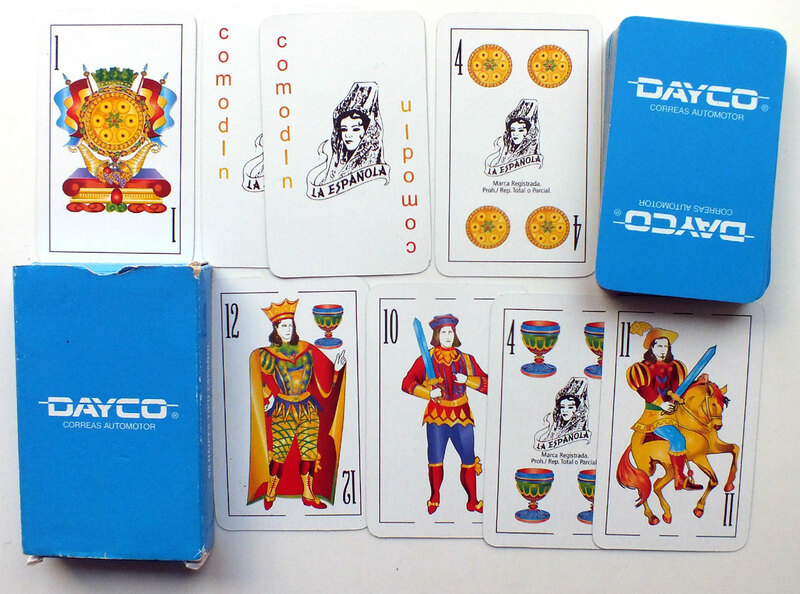 Above: La Española 2000 on small size 280g card for Dayco engine belts, 48 cards + 2 jokers in box, 2006.